Long wearing coverage with a lightweight formula that won’t cake, fade, or rub off. With Time Release Technology specifically formulated for combination or oily skin to control oil absorption and shine. Your look stays flawless throughout the day. This Revlon colorstay foundation with softflex SPF6 makeup review is about the old formula. This might be the perfect summer foundation for oily skin. Everyone hates foundations during summer because it just melts off your face, no matter what you do. The key to summer makeup is to know what foundation to use and you should be fine! Revlon colorstay foundation might be the perfect foundation for you. Many people do not know that there are waterproof and sweat-proof foundations that will stay on during those hot days and nights. I do not advise wearing makeup to the beach! Please don’t do this! It’s really not healthy for your pores! Now, let’s move on to my makeup review of Revlon colorstay foundation. 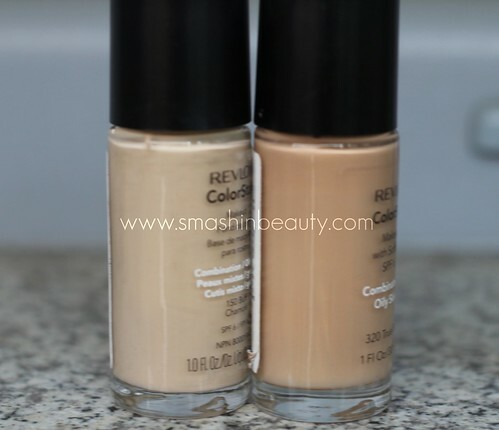 Revlon colorstay foundation makeup review will focus on the pros and cons of it. You can buy this foundation is for different skin types such as, dry, normal, combination and oily skin. The foundation come in different undertone: cool, neutral and warm, but most of them are cool. Revlon claims it provides lightweight coverage, but I disagree you feel the foundation on your skin. It’s looks fresh for up to 15+ hours on oily skin. It has SPF 6, what is not to high nor to low. The one thing no one, I mean no one likes about Revlon ColorStay Foundation with SoftFlex is the packaging! The packaging is glass. I wish it was a plastic bottle, careful with the bottle, if it falls, say goodbye to it. Another thing which is beyond annoying is that it comes with no pump to dispense the foundation. I would have preferred a pump to dispense the right amount. You can buy from MAC cosmetics, their pumps which will fit perfectly. This also means that you will be throwing away a lot of the unused product if you do not buy a pump. 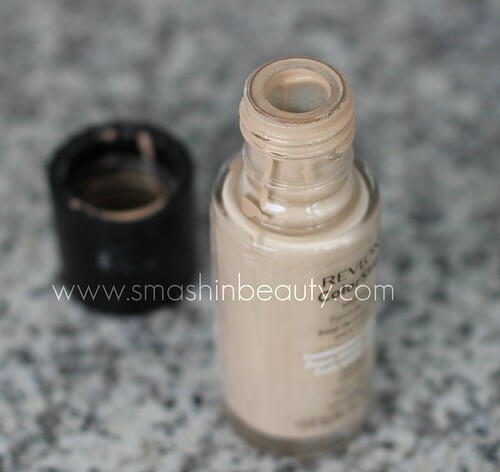 Revlon colorstay foundation is it really worth my time and money? Revlon colorstay foundation worth it? Now let’s talk for real! A few more important things to know about this product before you buy it. Realistically this product has a wide range of shades, what is excellent! If you cannot find your perfect shade make sure to find your undertone and then take a lighter and darker shade to mix and match. This will give you not only a new Revlon colorstay foundation shade, but it will also provide you with a highlighter and a contour color. I can never find my perfect shade so I always buy two bottles.this foundation did break me out like crazy after using it everyday for 5 – 7 days. I get a serious case of acne when I use this foundation, so I do not recommend it for daily use if you are acne prone. When it dries, it stays matte for hours and it does not transfer, wipe off or budge when you are sweating. Revlon colorstay foundation coverage power is medium – heavy, no a light foundation at all. Even though I love the coverage power, I still prefer my Graftobian cream foundation. For liquid foundations, this is pretty amazing coverage! If you want really heavy coverage then you can get the press powder in any shade that you want. Revlon colorstay foundation is well pigmented and this is a big plus! It neutralizes redness. I advise applying this foundation as fast as possible, since it dries really fast after application. 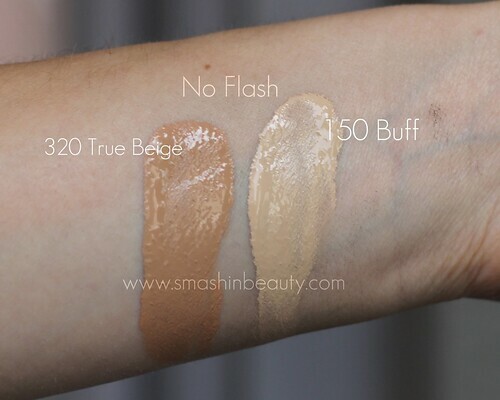 You can use your hands to apply this foundation or you can use any flat or duo-fiber sigma makeup brush. This foundation does not adhere to dry patches. Make sure you use the right colorstay foundation intended for your skin type. This completes my Revlon colorstay foundation makeup review. Revlon cosmetic stay power 16h? Revlon colorstay foundation has a pretty good stay power, at least for me it stayed on all day and it was intact, from 9 am to 7 pm. My skin towards the end of the day got a bit shiny but not even close to what it does with other foundations. I would say the stay power is excellent. This foundation is amazing for combination – oily skin. Another question that arises with Revlon colorstay foundation is how to take off? Can you take it off with just water and soap? You need face wipes for waterproof makeup or any oily makeup remover fluid or oil. Nothing else will take this off, normal soap and water are NOT enough. I have fair skin with true yellow undertones and was using Revlon Colorstay Golden Beige for a couple years. It was my holy grail of foundation… but as of this year I’ve been buying bottles of the same shade and now it has clearly pink undertones laced in there?? I bought another bottle just to compare and it was still pink…. 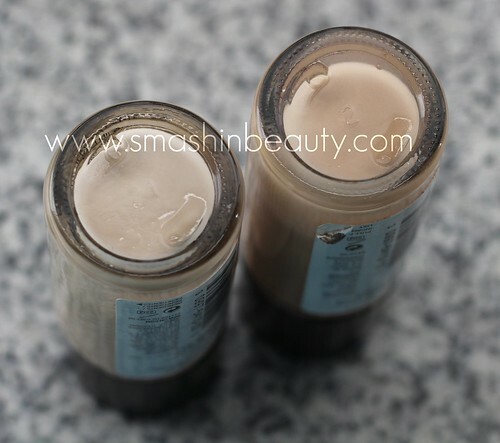 do you know if Revlon has modified the color of their foundations ? I’m so disappointed 🙁 it’s extremely hard to match foundation to my skin. They modify the ingredient once in a while, so they could have modified the color too. I do not know. Have you tried to mix two different colors? Just love this makeup. Èverything about it is wonderful. The colors the stay put formula. Tried many. Always come back to this one. Wow, na meni Buff djeluje tako tamno…. No, Ivory djeluje presvijetlo pa ih moram mješati. Ja sam se preporodila od kad za skidanje šminke koristim maslinovo ulje. Nema trljanja, reakcija,mogu nositi vodootpornu maskaru svaki dan ako poželim a sve ozapa kao da niti nije šminka. To je odlično za skidanje šminke i suhu kožu općenito.